Since 1969, B&D Herefords and Angus has been raising Line 1 Hereford cattle with a focus on performance and production. In the 1980s, Angus cattle were added to the operation. Started by Gerald Beran and Vince Dolechek, the ranch is now owned and operated by brothers Craig, Gerald Jr., Kevin and Terry Beran with next generation Matt and Bridget Beran. Hereford genetics predominantly feature Line 1 bloodlines from Holden Herefords and Cooper Herefords, while the Angus genetics feature bloodlines from Schaff Angus Valley and Sitz Angus. B&D Herefords and Angus hosts two sales each year. The Season Opener will be in March and the Fall Classic will take place in October. Both sales include approximately 40 Hereford bulls and 40 Angus bulls along with a selection of heifers and cows. Please contact us for more information about our operation! 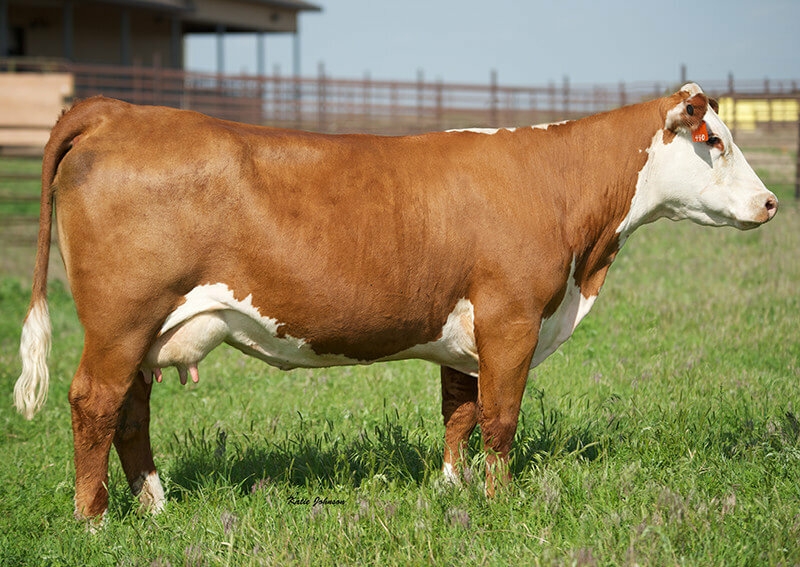 We’re excited to add CL 1 Dominette 1169Y 1ET to our herd following the 2018 Hoffman Ranch Fall Female Sale. This incredible donor cow from Cooper Hereford Ranch is one we are confident will make a big impact. She produced herd bulls for multiple ranches and ranks in the top 10% in the Hereford breed in Milk, top 15% in M&G and top 20% in BW and Uddr. She averages 6.7 embryos conventional and flushes are for sale.